Eligible payments include life insurance premium, principal repayment of the home loan and children's tuition. Each of the eligible investment has its own investment limit, rate of return, liquidity and tax treatment on its returns. 1. An individual or an HUF can reduce up to Rs 1,50,000 from their total taxable income through Section 80C for the financial year 2018-19. 2. Eligible investments include contributions to EPF, VPF, PPF, ELSS mutual funds, Sukanya Samriddhi Account, tax saving FDs and post office, NPS, NSC, SCSS, NABARD bonds, and a few other options. 3. Each of the eligible investment has its own investment limit, rate of return, liquidity and tax treatment on its returns. 4. Eligible payments include life insurance premium, principal repayment of home loan and children's tuition. 5. 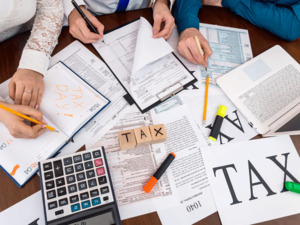 In order to claim the deduction for this particular financial year, one needs to invest or spend the deductible amount in this financial year itself.